Click for a really cute slideshow of Mika and Chips pups! Click here to visit Walk In Sync Inc..
Best Dog Bed Ever! 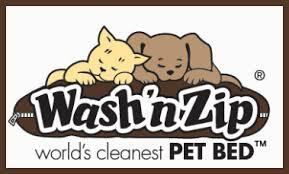 WAsh N Zip Pet bed. Mention code STARRDUST (use 2 Rs!) to get 15% off your order. Or watch my facebook page-I put in orders every 3 months with huge discounts for those that can pick up from me.